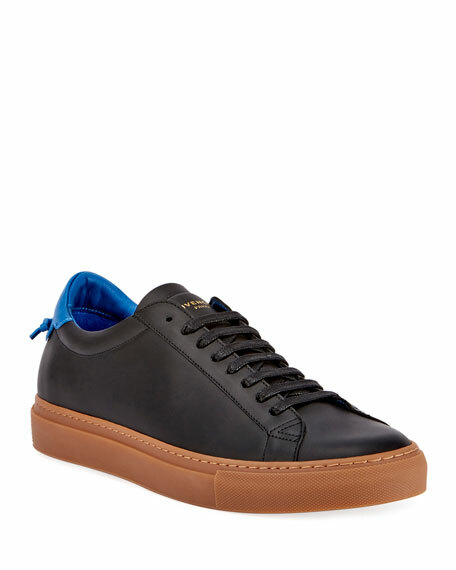 Givenchy men's low-top sneaker in calf leather. Logo and signature knots at contrast back. "Urban Knot" is made in Portugal. Givenchy high-top hybrid sneaker with leather trim. Zip front with logo pull. Round, reinforced toe. Looped logo pull at back. Givenchy high-top hybrid sneaker with leather trim. Zip front with logo pull. Round, reinforced toe. Looped logo pull at back. Backstay with imprinted logo. Lugged rubber tread. Made in Italy. 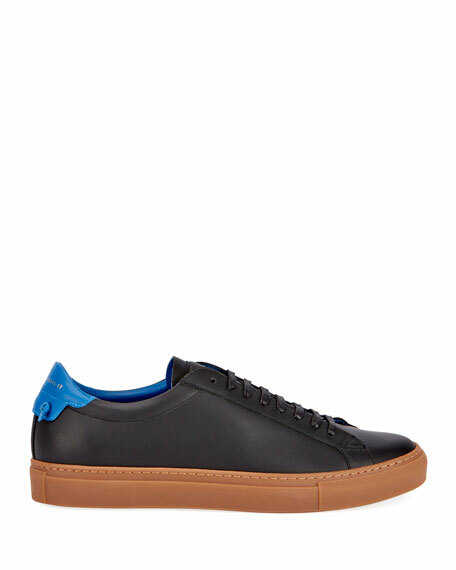 Givenchy low-top leather running sneaker with mesh insets. Round, reinforced toe. Lace-up front. Logo patch at tongue. Looped pull at ankle. Two-tone, rubber tread outsole. "Jaw" is made in Italy. 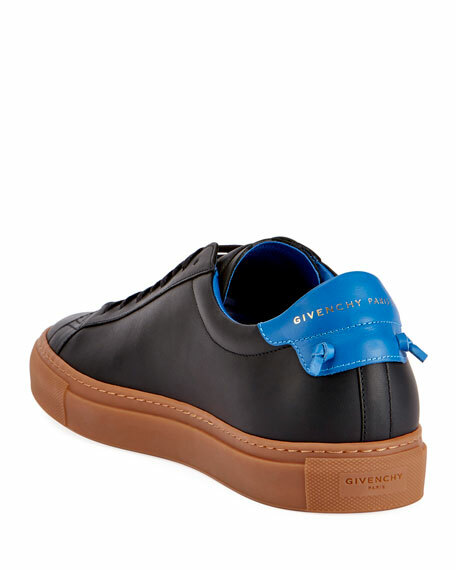 Givenchy leather running sneakers with mesh insets. Inverse colorblock on left and right shoe. Round, reinforced toe. Lace-up front. Logo patch at tongue. Looped pull at ankle. Two-tone, rubber tread outsole. "Jaw" is made in Italy.